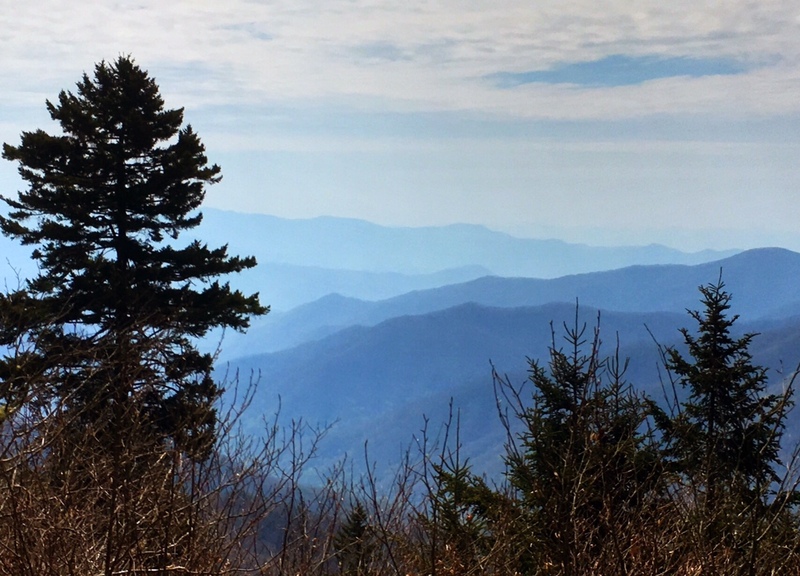 The forest seems to have changed on the East side of Clingmans Dome. 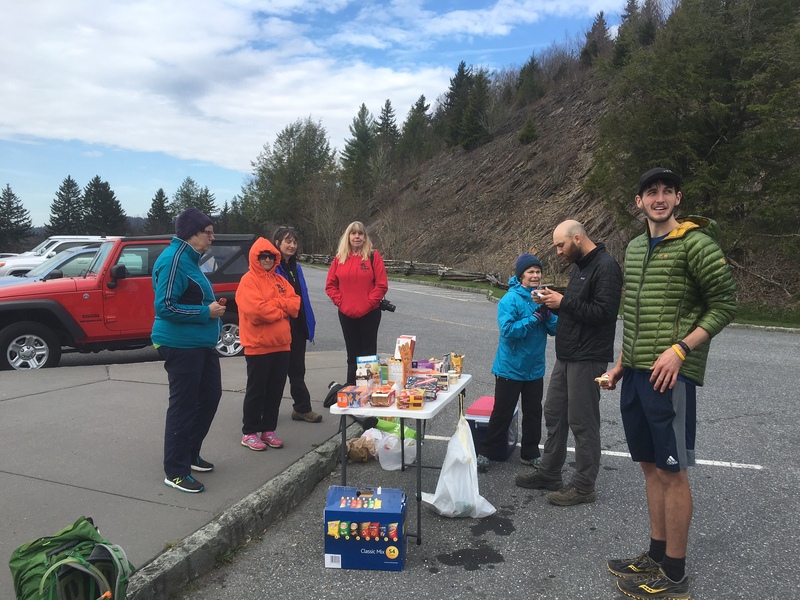 Word had spread on the trail that there would be Trail Magic at Newfound Gap…although we were misinformed that it would be pancakes and bacon. 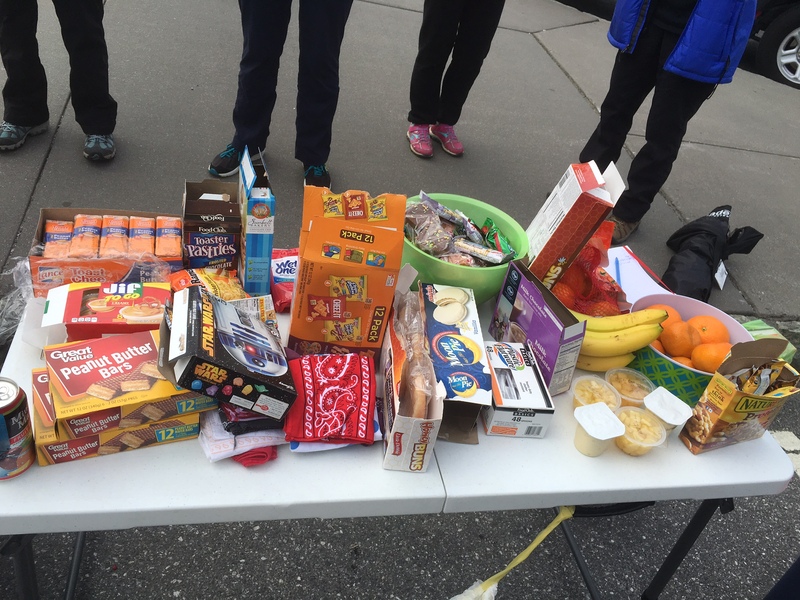 Luckily, hikers aren’t too picky…this was a Thru Hikers Dream 🙂 Big thanks to the Trail Angels from Knoxville, TN ! 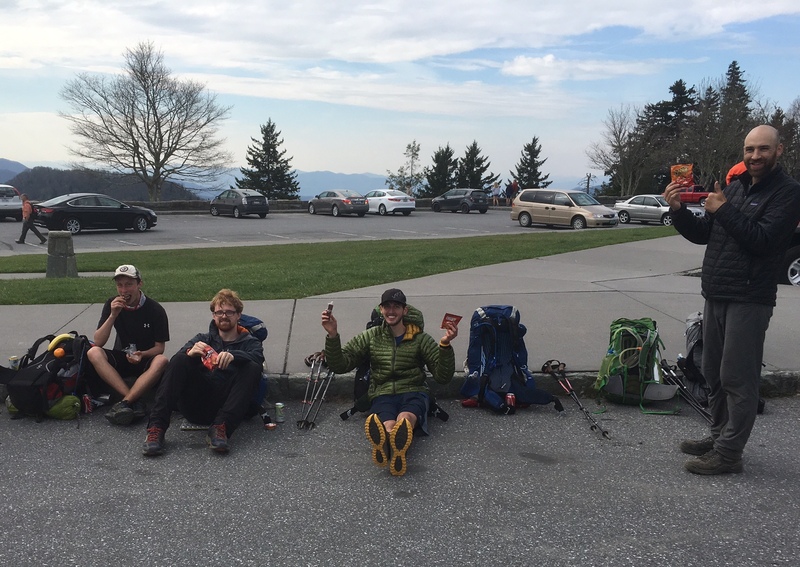 Happy hikers stuffing their faces. We are now officially inside of 2000 miles to Katahdin …still a daunting number (coincidentally, my birth year). The shelter was very crowded, even the tents sites were slim pickings. 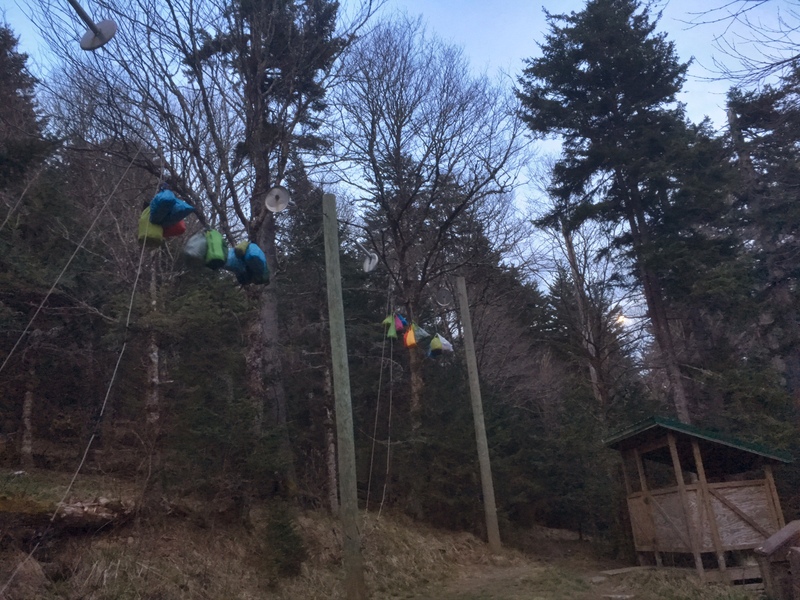 Look at all the food bags being hung. 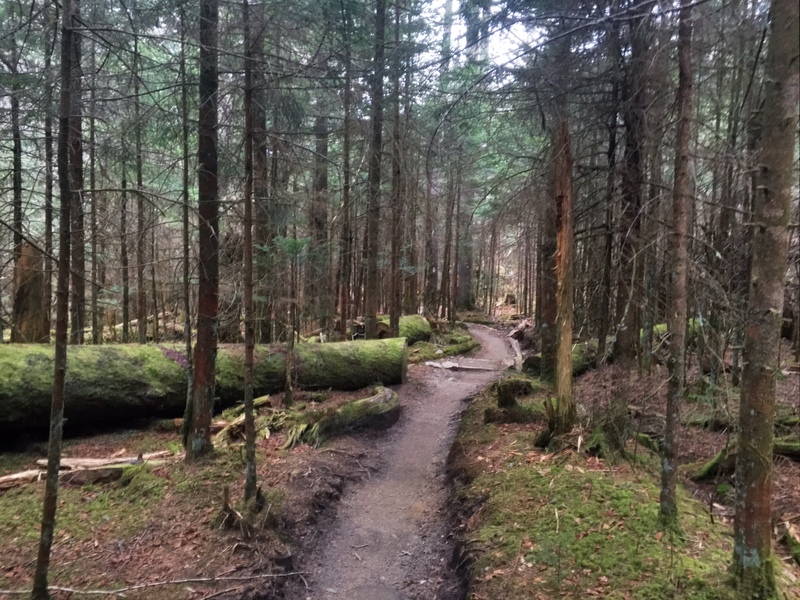 In the Smokies you have to stay or camp at the shelters so we start to get bunched up. Only 2 other hikers left the shelter we were at this AM. Most of the others here tonight did 8-12 miles to get here. Sorry for not getting back to folks sooner who are posting comments…I do appreciate them! I only have good signal occasionally, so I plan to catch up in Hot Springs. I am glad that Tennessee has been good to you…’ Go Vols’…!!! I am used to backpacking and hiking in wilderness areas in CO and CA, where sometimes you don’t see another human being for days. 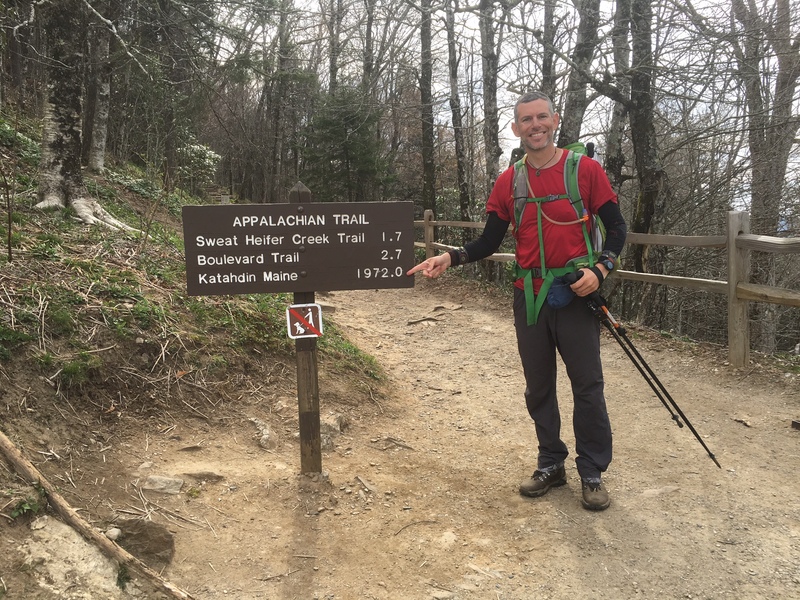 Your Appalachian hike seems so different from that. Hope you are having fun. It runs the spectrum. Some days I only see a couple folks, other days there are peeps everywhere (usually rainy days when everyone stops at the shelters to dry out). Still looks like u r having a blast. We just returned from 4 days of Abel Tasman. Amazing. Not 4 months though! I will send pics when we get them off camera. Can’t wait to see ur pics.